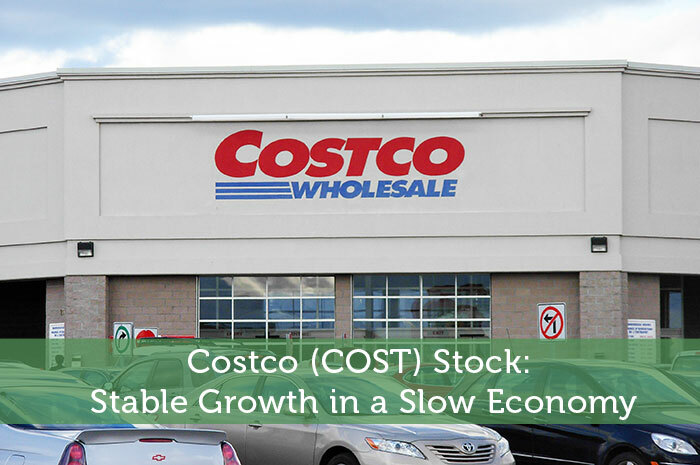 U.S. warehouse giant, Costco Wholesale Corporation (COST) has been earning steady profits for the last few years. It’s annual stock performance has been relatively flat because investors were nervous about the company’s decision to switch the type of credit card it will accept from consumers from American Express to Visa. However, the transition seems to me smoother than most people expected. Over the next 12 to 24 months Costco earnings and sales is expected to improve and the stock price of COST should increase as well. Out of 29 analysts currently covering Costco stock, 8 have given it a buy recommendation, 12 says outperform, and the remaining 9 says it’s a solid hold. Costco currently trades at $150 per share. When it comes to the price target of COST over the next 12 months, analysts have reported that the stock could reach as high as $195 per share on the optimistic side,while the average price target and low price target are $169.38 and $135 respectively. Costco is engaged in the operation of membership warehouses in the United States (U.S.) and Puerto Rico, Canada, United Kingdom (U.K.), Mexico, Japan, Australia, Spain, and through majority-owned subsidiaries in Taiwan and Korea. The Company operated 663 membership warehouses and an average warehouse is approximately 144,000 square feet. The Company’s warehouses generally operate on a 7-day, 69-hour week. The Company’s product categories include Food, Sundries, Hardlines, Fresh Food, Softlines, Ancillary and Other. Compared to other brick and mortar players in the same space Costco is doing relatively well. One reason why Costco is outperforming other stores is because it’s not as susceptible to the Amazon.com factor as say Wal-Mart is. The other reason is that at the heart of it, Costco is a membership business. It has very high margin membership fees and it tries to attract new customers all the time. Costco plans to open up another 9 warehouse stores by the end of the year. That means they will exit 2016 with about 4% more locations than the start of the year. More locations and more members means more membership fees and customers. Sales are important as well, but membership fees for Costco account for about 75% of the chain’s operating profits. That makes new memberships and member churn the most important metrics for a company built around signing people up and retaining them year after year. Costco and Amazon are essentially for different segments of consumers. For Amazon customers it’s about convenience. It’s about getting things shipped to their homes instead of going to the store. Many people don’t have cars so making a trip to a brick and mortar store isn’t very practical. Meanwhile Costco customers are looking to buy things in bulk and stretch their dollar. Costco is drawing customers with fresh and organic foods instead of the packaged foods that Amazon is offering. Many people shop at both Costco and Amazon but they look for different products relative to where they’re shopping. Many retailers that have physical locations had negative comparisons to same store sales in the past. Overall holiday sales expectation for this year is expected to be 3% lower for traditional retail stores. But online shopping is expected to increase by 17% year over year. The economy overall has also been slowing down so investors have to be more selective about where to put money. The IMF recently lowered growth expectation for the U.S. Furthermore, the Federal Reserve has taken its outlook for GDP from 2.2% back in March, to 2% in July, to the most recent number which is 1.8% coming out of its September meeting. So it’s looking like a sub 2% year for the United States. The consensus is that next year in 2017 the economy will grow faster because a new president will be in place which will remove a lot of political uncertainty so companies can make more plans to expand. Costco seems to be a safe place to park some long term money, regardless of which political party gets the White House.